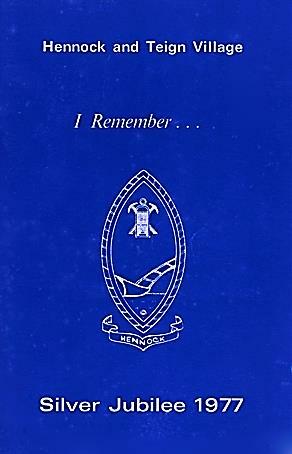 This is an e-reprint of the book 'I Rememember ...' originally produced by the Hennock and Teign Village Jubilee Committee to commemorate the Silver Jubilee of Her Majesty Queen Elizabeth II in 1977. This edition reprinted by the Hennock Village Hall Committee with kind permission of the known surviving members of the Hennock and Teign Village Jubilee Committee. I have taken advantage of the fluid nature of the e-page to keep whole chapters on a single page, hence the page numbering will be different to the original edition. The order, page layout and style have been maintained as near as possible to the original. The text often refers to Archie Cudmore's 'All this - and Hennock too'. Does anyone know what this was, did Archie write a diary or journal entitled 'All this - and Hennock too'? If he did and you have a copy, I would like to publish it on this web site. Editor.